This is the latest and definitive edition of Dark Emu by Dr. Bruce Pascoe. Books include the short story collections Night Animals and Nightjar; the novels Fox, Ruby Eyed Coucal, Ribcage, Shark, Earth, and Ocean; historical works Cape Otway: Coast of secrets and Convincing Ground; the childrens book Foxies in a Firehose and the young adult fiction Fog a Dox, which won the Prime Ministers Literary Award for YA Fiction, 2013. What have we ignored so badly, at what cost? I will be insisting on students reading this. How wilfully ignorant Europeans cut off their noises to spite their faces is truly sad. It has proved wilfully perverse on this continent and it continues. I recommend this book to friends. Mind expanding. i had no idea of the depth and extent of indigenous agriculture until reading this book. I would for sure buy this book again. Dark Emu By Bruce Pascoe very good read, I'm grateful there are author's out there like him. I'm very happy I came across this Aboriginal culture book not only for Aboriginal Australians. But for other cultures around the world. It wasn't how I expected it to be, it was a little slow to get into reading it, but gets better. Excellent informative. Should be mandatory for school curriculum. A new look at our first peoples culture. This book unravels the myth that Australian indigenous people were wandering nomads until white settlement occurred. Agriculture and land management were just some of the activities undertaken by aborigines and its a great eye opening read for all Australians, including indigenous people. I read this after it was referenced in Billy Griffiths' "Deep Time Dreaming: Uncovering Ancient Australia". 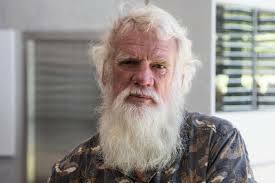 Bruce Pascoe's work provides a powerful and evidence-based narrative of what Australia once was under tens of thousands of years stewardship by Aboriginal Australians and their complex and structured society. Together, these two works uncover the amazing history of our country and how this has been ignored and misrepresented up to the present time. This book alerts us to the damage of the post colonial whitewash of culture of First Nation peoples. Part information feast, part outrage evidence. Every Australian should read this. All of us! This is a flow on from The Greatest Estate on Earth and fundamental to helping us develop new ways to work with our land. I had heard good things about Dark Emu from quite a few different places - in both media & from friends so decided to give it a go. Wow! What a terrific read! The subject matter is fascinating and Bruce Pascoe is such a good writer the book just flows along. I just wish there was more. But now he's opened the door to this amazing new view of our country's history and heritage maybe others will step up and share their knowledge and research. It's given me a broader perspective on the natural world of Australia and a renewed appreciation of the depth of Aboriginal people's care for this land. The only tough part of the book is the knowledge that everything Pascoe writes about is shackled to pain and loss. Kudos to him that he still manages to leave you feeling uplifted from reading Dark Emu as he has so many positive suggestions for how we could benefit from all of this newly rediscovered knowledge. New fave gift item for everyone's birthdays! Watch out! A must read, & added to school curriculum. A well-researched book, that is written for the 'everyday' reader. Helping to change perspective, and thus the conversation around Aboriginal culture and their achievements. It should be incorporated into the school curriculum. 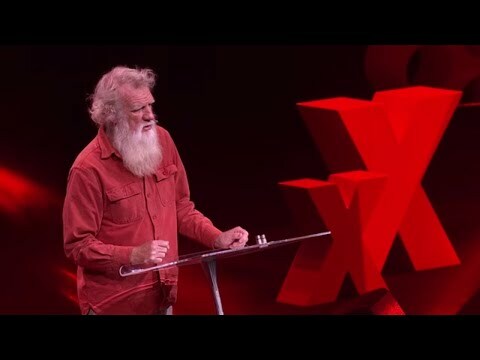 Bruce Pascoe is a Bunurong, Tasmanian and Yuin man born in Melbourne who grew up on a remote island in Bass Strait and had a joey and a dog as pets. Bruce is a prolific writer and has written more than 20 books, including short story collections Night Animals (1986) and Nightjar (2000); the novels Fox (1988), Ruby Eyed Coucal (1996), Ribcage (1999), Shark (1999), Earth (2001), Ocean (2002), and Bloke (2009); and historical works Cape Otway: Coast of Secrets (1997) and Convincing Ground (2007). His non-fiction book, Dark Emu (2014) continues to go into reprint and won the Book of the Year and Indigenous Writer’s Prize in the 2016 NSW Premier’s Literary Awards.